In collaboration with Tapetown, RECession Festival proudly presents Twin Dive, Catch The Breeze, Rýk, and Phosphor Kid on Friday the 3rd of May at Klostertorv. 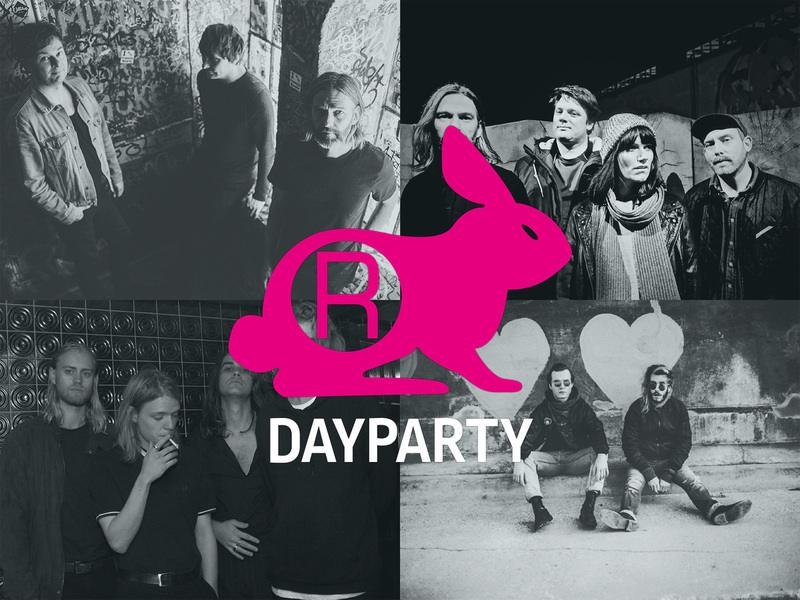 It will be an unmissable opportunity to get a little taste of Danish underground music. The four bands are all part of Tapetown Community, which has been created by the bands who have recorded in the Tapetown studio. In March the trio Twin Dive launched their new single ‘Joy Will Follow’ with a mesmerising music video, which was immediately picked up by the international music media. For instance American Captured Howls wrote, “Twin Dive’s music is definitely cosmopolitan, and feels primed and ready for the best rock clubs Europe and elsewhere have to offer. Broad, spherical sound textures clash with the tight and captivating ensemble of drums and bass. At the centre is Aage Kinch’s deep baryton, which conveys the poetic and evocative lyrics. The debut album came in March 2018. Radio stations like Part Time Punks, DKFM Shoegaze Radio in L.A, and P6 Beat have played singles from the album, on which the band excel in both shoegaze and dreampop. Rooted in post punk and 90s showgaze, Rýk bring forth atmospheric landscapes of guitars, drums, bass and wind. Rýk take the noise, the gravity of the sound and the melancholy restlessness to the breaking point. The band form an incredibly tight unit, and that creates a genuine intensity with improvisation, willpower and instinct as the driving force of their concerts. The band’s guitar-driven sound is inspired by the alternative rock scene of the 90s. With a good helping of Scandinavian melancholy it materializes as a cool kind of dream pop, and in a laid-back and dreamy way it just might be a hybrid of Real Estate and Beach House. The band deliberately tone it down and their explorations of the magic of repetition take you to the American highways.